Create Your Own Yoga Event! for all ages, sizes and occasions!! Mara Jasmine Pike lives in Honolulu and has been teaching yoga for the past 20 years. 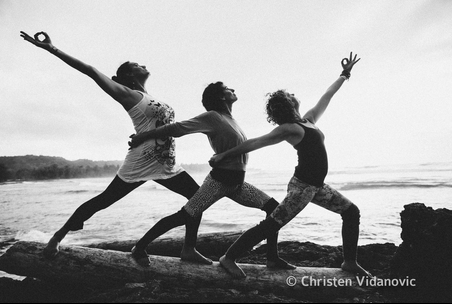 She began the Jasmine Yoga school in 2003 on the North Shore of O'ahu and is one of the founding members of the North Shore Yoga Co-op. She has been involved in movement studies, including gymnastics and ballet, for most of her life. She has a BFA in Dance from NYU, and completed a Shadow Yoga apprecnticeship with Glen Butcher as well as a Pregnancy and Mom and Baby apprenticeship with Cathy Louise Broda from Purple Yoga. She has continued her Shadow Yoga training with Lita Batho from Portland, Oregon. Mara is also authorized to teach Aroma Yoga®, YogaEd, and is a Reiki Master. © Jasmine Yoga 2012. Travel theme. Powered by Blogger.